When the weather’s colder and the nights are drawing in early, there’s nothing nicer than wrapping up in a cosy knit. We’ve got a handful of sophisticated styles available now in our shop that will keep you feeling warm. The Ladies’ Cardigan With Draped Front Knitting Pattern – product codeWLD074 – is a classic design that you’ll be able to recycle year after year. Style with a thick roll-neck sweater, dark denim jeans and a pair of knee-high boots on particularly chilly days. Wondering what to layer over your favourite fitted dress when you next head out for dinner? Our Ladies’ Soft Belted Jacket Knitting Pattern will help you make a style statement. 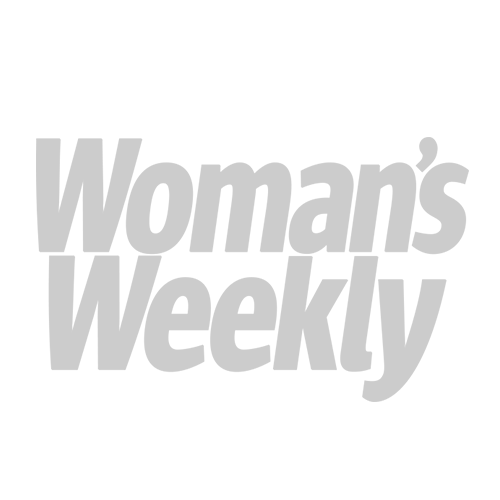 Long in length with a hand tie around the waist, it will quickly become one of your go-to garments. The reference number for this chic design is WLD100. 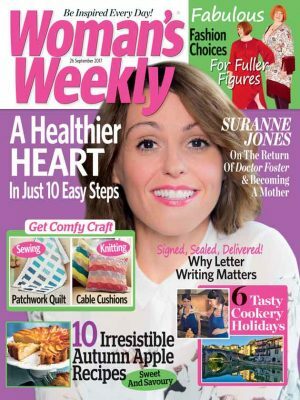 To order your copies of the patterns, ring the Woman’s Weekly Shop on 0800 024 1212, remembering to quote codes. 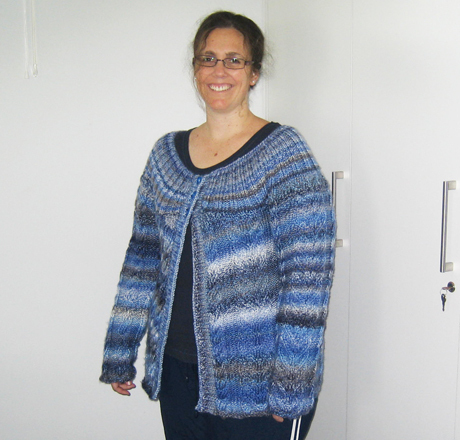 One reader we know would love to add another jacket knitting pattern to her collection is Woman’s Weekly fan Rosemary Michelsen. She had a go at making her own cardigan complete with a softly scooping neckline and relaxed cut. A piece that will work well with anything from trousers to skirts, it’s certainly something we’d like to add to our own autumn/winter wardrobes. We love her use of a muted blue, grey and white colour scheme too. Rosemary sent us this picture of her make all the way from South Africa.